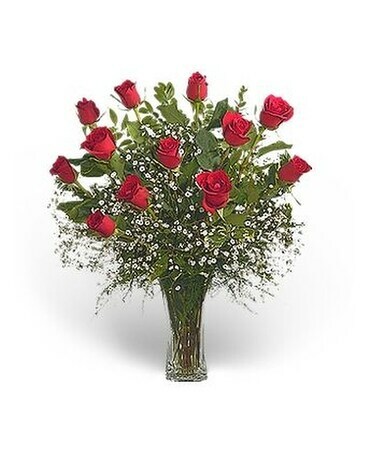 One dozen rich red roses, delicately accented with an array of baby's breath -- what a dazzling addition to any celebration. Arrives in a glass vase. Approximately 24" H x 19" W.